Crochet is the ultimate thrifty craft because you can take little scraps of yarn and make something beautiful! Here I have used scraps of cotton yarn to make flowers. The patterns were all found for free on YouTube. I have then used a hot glue gun to adhere them to a heart-shaped wicker wreath. If you don’t have a wreath, one can easily be made by cutting a heart shape, about an inch wide from cardboard and painting it to blend in with the wall you will be hanging it on. An easy pattern for a beginner, these Retro Daisies will look great stitched onto 14 count Aida cloth. Enjoy! There's a fun, free sew-a-long on Instagram that I thought you might like to know about...and it involves prizes! 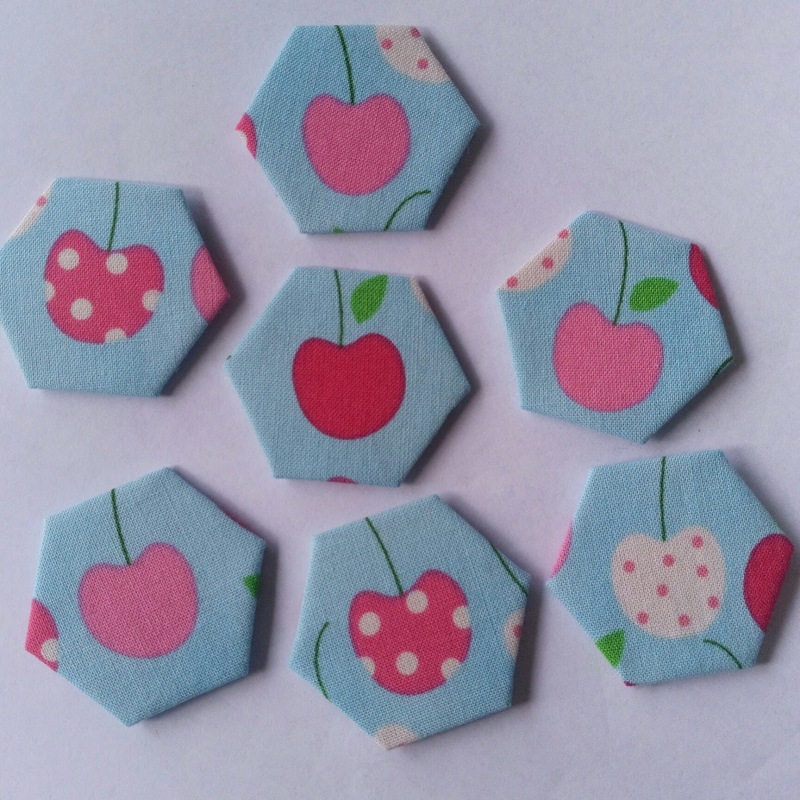 Participants will be sewing 100 English paper pieced hexagons in 100 days, starting on August 14th but don't worry there is still time to catch up! Be sure to use the hashtag #100hexies100days2017 to be included and so you can check out other people's work. I just printed hem out, cut around them loosely and stuck them on some light cardboard (cereal boxes are great) with a glue stick. I then let them dry and cut on the lines. Have fun and see you on Instagram! Get a free printable Christmas tree angel here from Activity Village. 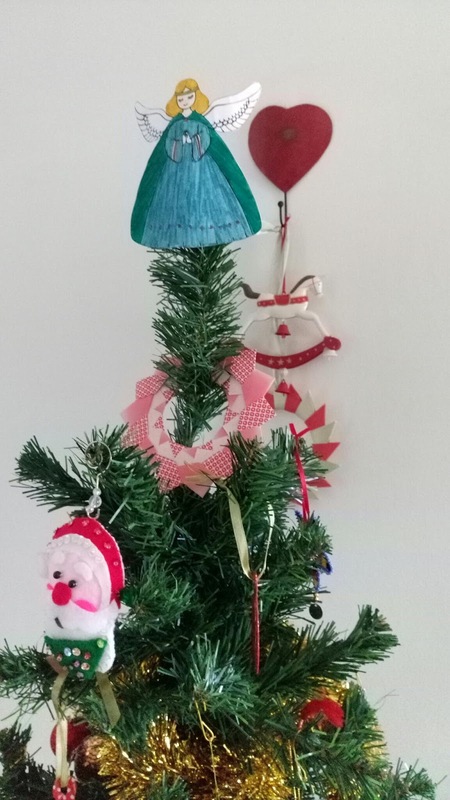 It's a great, free tree topper. 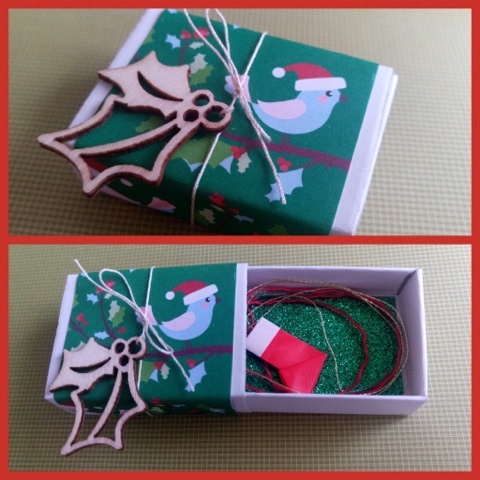 This tutorial is for a small origami ornament in a matchbox. A perfect Mini Christmas gift. Cut 20 cm of each colour thread. Fold th3 threads in half. Tie an overhand knot. Glue the boot together, encasing the knot. 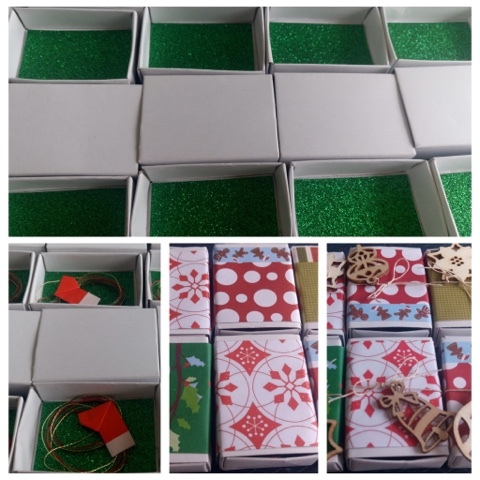 Cut a strip of Christmas paper to wrap around the matchbox case. Glue it down. Tie the string around the matchbox and tie a double knot. Thread on the MDF embellishment and tie a Bow. Trim the ends. Place the origami ornament neatly inside. 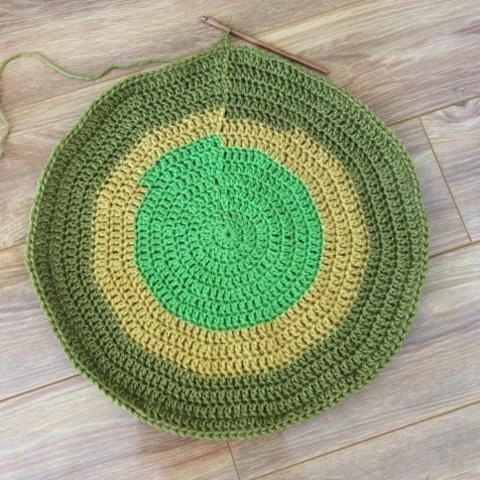 I am working on this round Crochet knee rug as a Christmas gift for my grandmother. Her favourite colour is green, so I am using 8 ply green wool and a 5 mm bamboo hook. Jessie H Jackson. Simple theme. Theme images by Ollustrator. Powered by Blogger.